Luxury car sales are on the rise, but many car buyers are still cautious. While it feels like financial stability has returned, those looking to buy a car aren’t ready to commit to a hefty financial investment. Compare.com has good news: you don’t have to. We’ve got the tips to help you get into the car you want for a price that will fit your budget, and we’ll start with BMW. BMW’s are premium luxury cars. Most people assume you have to have a lot of money to purchase one. However, you might be surprised to find out that you can get into a new BMW for less than the cost of a well-outfitted domestic SUV. If you had the choice between a Sport trim level Ford Edge and a BMW 328i, which would you choose? If you picked the BMW, this guide is for you. Luxury cars are hard to resist and with good-paying jobs returning to the job market, more and more drivers are snapping them up. It used to be that luxury cars were just that, more luxurious, better-equipped versions of average cars. BMW has been a special breed since they began making cars back in 1928. Their focus is on engineering and creating a driving experience that goes beyond luxury. For that reason, you’ll get some benefits from driving a BMW that you won’t get elsewhere. BMW’s standard warranty isn’t as impressive as some, but it is a solid standard warranty. Expect your factory warranty to run for 4 years or 50,000 miles, whichever comes first. 2006 and newer BMW models qualify for additional rust protection for a total of 12 years from purchase date without a mileage restriction. BMW ConnectedDrive is an electronic interface that allows the car to “tell” or “show” the driver everything they need to know about the car’s well-being and current condition, as well as a number of additional high-tech features. This includes alerting the driver to a need for an oil change or low tire pressure. It also includes the GPS and a built-in hands-free phone to make driving safer and easier. Starting in 2014, most models will come equipped with BMW Assist, a BMW specific service similar to the popular OnStar feature common in many GM vehicles. Another above-and-beyond type of feature that’s part of owning a BMW is their Roadside Assistance program, whether you need a tow, have a flat, or you just ran out of gas, BMW Roadside Assistance is there for you in all 50 states plus Canada and Puerto Rico. The coverage is for your vehicle, so it can be used regardless of who’s driving your BMW. The service also includes services common to AAA such as road trip planning, hotel location and more. This service would cost extra with many automakers but is included in the price of your BMW as a free bonus. There are no mileage restrictions, but the service is only free and available four years from the original activation date (typically activated when the car is purchased from the dealer). Certified Pre-owned BMW’s are covered for 6 years from the original purchase date. A BMW is a highly advanced, well-engineered vehicle; more so than most cars on the market, but especially true of cars outside its class. For this reason, the costs associated with a BMW will be much higher, particularly maintenance and repairs. Service plans for BMWs often include free, regularly scheduled oil changes. However, not all BMW’s come with this benefit. Older, Certified Pre-Owned BMWs rarely do and if you plan on entering the BMW buyer’s market in the used category, you’ll find that the value is decreased by the expensive maintenance. You should also be aware that the closer to the top of the model lines you go, the greater your depreciation will be. Cars on the lower end of the spectrum such as the BMW 3 series will have less depreciation compared to higher-end models. However, you might be surprised to find that buying isn’t necessarily something that BMW wants you to do. They’d much prefer you lease your vehicle. Leasing a BMW makes a lot of sense if you have a good job, have no problem with never paying off your vehicle, and you like the idea of a new ride every four years or so. The economics of BMW are designed to support this model more so than actually selling their cars. Since the initial warranty and most of the free benefits run out after four years, it makes more sense to just lease a BMW rather than buy–unless you plan on buying an extended warranty. Buying insurance for any luxury car is going to be more expensive than insuring something like a Toyota Camry. However, you’ll get discounts for advanced safety features and anti-theft devices. You can even get a good discount by getting your BMW auto insurance through Liberty Mutual, who currently has a deal with BMW to be their preferred insurer. Of course, the best way to make sure you’re getting a great deal on your car insurance is to compare several auto insurance quotes and to do this about once per year at least. Auto insurance rates change often so you’ll want to check prices frequently. If you’d like the details on why, we have a great explanation of why car insurance shopping is so important and how you can do it easily and efficiently. Over the last several years fuel economy has become a major focus for auto manufacturers in the US market. 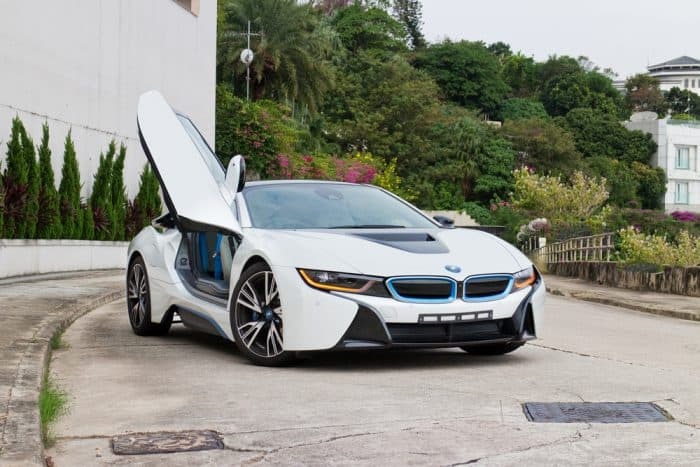 As a result, you will notice that BMW’s have a very high fuel economy to power ratio. By that, we mean that for most BMW models you’ll get above average MPGs while still enjoying the high powered engines that are commonly associated with German cars. BMW makes cars with 4, 6, 8, and 10 cylinders; so depending on which BMW model you choose, you have the option for a lot of power. If fuel economy is your primary concern, then you’ll be happy to know that the four-cylinder turbo still gets better MPGs than many similar cars on the road. This means you’ll have the fuel economy you need but will still have stronger acceleration than you would in a traditional 4-cylinder vehicle. One unique gas-saving feature that BMW provides that belongs in the “above and beyond” category is their Auto Start-Stop feature. Cars with this feature can save you fuel and improve overall gas mileage by automatically turning your engine off whenever it detects idling when your car is at a standstill. This means traffic jams, red lights, and stop signs. As soon as you take your foot off the brake or turn the wheel, your car instantly restarts and is ready to go again. It’s a seamless transition. Of course, this isn’t dissimilar from the way hybrid cars work. The difference here is that your BMW will do the same thing without a heavy battery. For those of you who would prefer to drive an alternative fuel vehicle, BMW has you covered there too. BMW produces both full-electric vehicles as part of their ActiveE line and hybrid vehicles under the ActiveHybrid banner, as well as Advanced Diesel vehicles that can get up to 45 MPG. How Safe is a BMW? BMW, along with most other European cars, have a reputation for safety that stems from stricter automotive safety regulations in the EU (as compared to US auto safety requirements). Beyond that, BMW has built its brand around its reputation for advanced engineering and that includes their cars’ safety features. One of the more unique advanced safety features you’ll find in a BMW is the variable deployment airbags. Most airbags deploy at one (very, very fast) speed, which is good in a high-speed crash where things are happening very quickly, but at lower speeds a high-speed airbag deployment can do more harm than good. For that reason, BMW has employed advanced sensors that detect the velocity of an impact and deploy your airbags at an adjusted speed to ensure your safety. This, in combination with the ConnectedDrive services and other next-gen features such as automatic braking, lane departure warning, and intelligent cruise control help make BMWs one of the safest cars on the road. You can verify the safety rating of the model you want to buy by visiting the Insurance Institute for Highway Safety’s (IIHS) website and entering the vehicle information. Buying a BMW isn’t like shopping for other vehicles. You’ll find that BMW has instituted a relatively new non-haggle policy when it comes to the prices of their vehicles which is similar to how car lots like CarMax work. The sticker price will be the price you pay. That being said, there are ways around paying full retail for a BMW. To avoid paying full price for a BMW, look for a certified pre-owned BMW. Due to the extended warranty that is included in the price, a certified used BMW can be (for some models) a better buy than a brand new BMW. Another way to avoid paying full sticker price is to ask if they have any models currently being used as courtesy cars—cars they lend to other BMW owners whose cars may be in the shop for lengthy service or repairs. You could see a price cut well into the thousands of dollars. Finally, consider leasing. 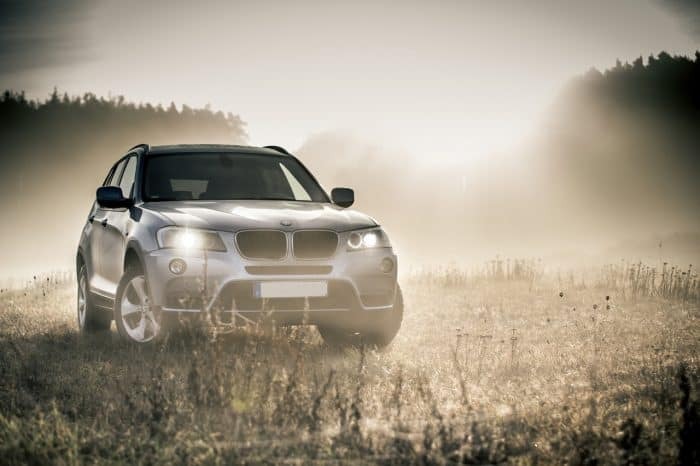 If you want a BMW and aren’t overly concerned about the long-term financials (leasing will ultimately cost you more than buying a car outright), then leasing can bring you the excitement of driving a BMW a bit easier than purchasing might. Be sure to read up on how to get the best deal on your lease before you do.